Talentrackr is a fully automated solution for small business owners to efficiently source, assess, recruit and hire without the need for their own human resources department or recruiter. How can there be any dislike for this impressive and mind-blowing platform? It eases the recruiting process by multifold. The main reason I will recommend Talentrackr is that it eases your recruiting process so well. It is quite effective. "Recruit Without The Need For A Job Vendor." With Talentrackr, there is no need to source for a job vendor since all a job vendor could do is better done when using Talentrack. It helps improve recruiting productivity and you can manage communication with applicants on your dashboard. You can also create candidates portal for better communication. Its a nice solution for job posting and recruiting. There is nothing to dislike about the solution. It reliefs us the stress of sourcing for a job vendor. Save the need for a job vendor. 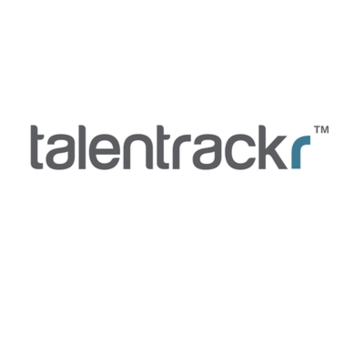 You can easily employ qualified candidate using Talentrack. We are able to employ qualifies candidates without the need for a job vendor. Highly recommended t those recruiting employees. Talentrackr solves hiring challenges for small business by leveraging artificial intelligence in a simple intuitive platform. It automatically updates job applicants at every step of the hiring process. I don't think there is anything I dislike about the software. It is easy to use and has good parsing functionality. I recommend talentrackr because you can easily create your own profile that would change your status from unemployed candidate to an employed soul. Seamless integration with linkedin, Google calendar and Gmail to schedule and manage candidates interviews. With Talentrackr, the recruitment process has been a success. It's simple to use and proves to offer all required recruitment functions. Applicants tracking and Job posting also available. * We monitor all Talentrackr reviews to prevent fraudulent reviews and keep review quality high. We do not post reviews by company employees or direct competitors. Validated reviews require the user to submit a screenshot of the product containing their user ID, in order to verify a user is an actual user of the product. Company: Talentrackr Technologies Pvt. Ltd.
Hi there! Are you looking to implement a solution like Talentrackr?